Insiderally rewind. WRC rally Portugal returns again this weekend. We take a look back at the drama’s of last years rally Portugal. It was an early dry but slightly cloudy start to Day1, though no rain which meant Mikko had road sweeping duties. Giving Ogier the best position on the road. We headed out to SS2 (Qurique) which was an hour an a half drive away in the mini busses. After turning off the main highway, the roads deteriorated quickly, up to the point where there wasn’t one. But after bouncing around in the back (lucky there was plenty of head room) we headed up the mountain to VIP area about 5kms in. That meant jumping into a ‘transfer mini bus, and boy what a ride that was, with a total lunatic at the wheel getting us up the steep rocky hill, clearly thinking he was driving a Subaru WRC car rather than a mini bus. After a swift handbrake to the finish at the top with no tyres or even a mini bus left the action on the world stage begun! On the first stage of the morning Petter was on a flyer setting the fastest time with Ford boys Hirvonen 2 sec down and Latvala 4.4. 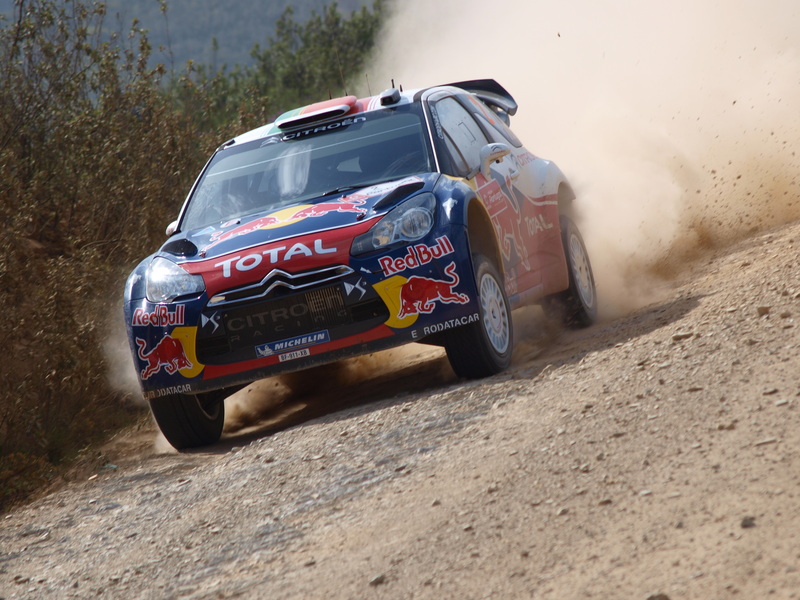 The works DS3′s of Loeb and Ogier not far behind. On SS2 Petter had a puncture and lost over a minute. On SS3 the works Citroens of the two Seb’s were fastest. and by Mid-day, Ogier led after charging through the stages to lead his older team mate by 2.8Sec. We stayed at Qurique for the afternoon loop. And a great battle formed between the two works young drivers of Fords Latvala and Citroens Ogier. On our stage, Latvala was flat out, and took the stage win to narrow the gap between the two to just 1.8 seconds. 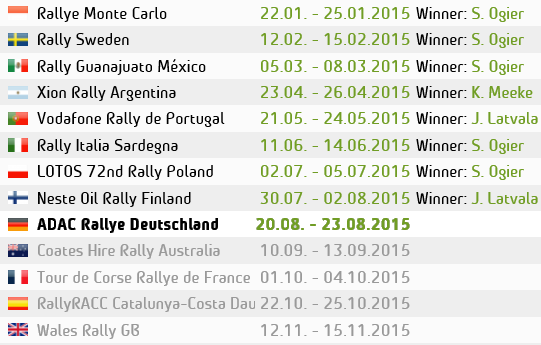 On the final stage Latvala took his third stage win, as Ogier played pick the road position to drop to 4th. Hirvonen, also did a great job out on the stages and finished in 2nd. Poor Petter Solberg, continued his 2011 bad luck and suffered 4 punctures throughout the day, and on the final stage, after his final puncture he had used his spare, and decided to stop and retire on the stage to super rally for day 2. Stobart Ford driver Mads ostberg retired again on the very 1st stage of the day due to broken gearbox. Waking up to a wet villamoura, it was clear it had rained in the early morning of day2, but by the time we got to the stages, the baking Portuguese sun had dried it out, Fords Jari-matti Latvala was road sweeping. We headed to the mornings stages. On SS9 Mikko got a puncture. He pulled over, changed it in just under 2 minutes, however, Loeb was behind him as he got going again, Loeb lost a lot of time stuck in Mikko’s dust. The Frenchman very angry, even nudging Hirvo’s car up the rear at stage end out of frustration. Petter Was flooring it trying to make up positions after 4 punctures yesterday. By mid-day service, the other french ace, Ogier was in front of Latvala after two 2nd fastest times & fastest on SS10 . After Service there was a real battle for the lead. On SS11 Ogier extended his lead over Latvala. As we arrived at the days final stage, the atmosphere was just as good as the 1st stage, many excited noisy fans, including a trumpet player, keeping us entertained. Meanwhile, SS12 was the beginning of Fords despair. Latvala had a broken drive shaft an dropped to 3rd.On the final stage, we watched the aggressive new Fiesta slide its way off the tarmac and onto the gravel hairpin, noticing that, it infact belonged to Hirvonen. As he past, we began to wonder what had happened to Latvala who should have been 1st. Because of his drive shaft problems, Mikko past him on the stage, but further away in the distance, more disaster for Ford. Hirvonen’s rear suspension broke, which then allowed Latvala to re-pass him on stage, both managed to make it to the end of day 2 but the damaged had been done. This took presure of Rally leader Ogier who now had a 37 second lead going into the final day. What a fantastic rally we had here in Portugal. Hot and Dusty, and so was the battle for the rally up untill the final two stages on saturday, then it was a cruise to the end for Sebastien Ogier. 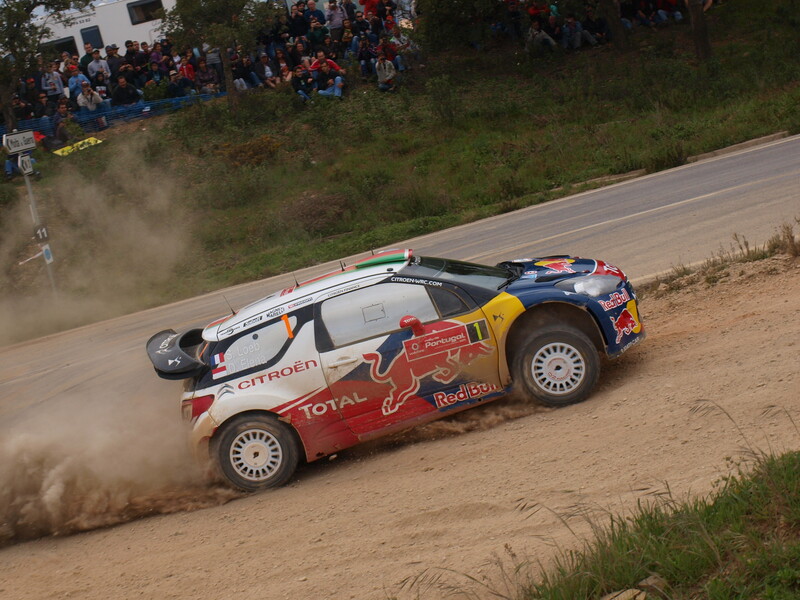 Winning Rally Portugal for the second time. The final day was all about the Power stage, and who could take them bouns points for the drivers Championship. Loeb said in the morning that he wouldn’t risk his 2nd place and would just drive to the finish. But clearly once that helmet was on and the 31km Santana de Serra stared at him on the start line, he went for it. Watching from the big screen in the service park, You could tell he was really pushing to bag thoughs points. As many fans kept moving between the big screen and the timing screen in the service Park to see who was leading. Loeb comes through to beat Fords Jari-Matti by 1.7 seconds to claim the 3 bouns points, which could prove to be the deciding factor to the championship on the final rally of the year. The Glory of the Rally went to the younger frenchman of Sebastien Ogier, to take his 3rd WRC win. Meaning that we have had 3 different winners on the first 3 rounds of the 2011 championship. Ogier also took 3rd on the power stage to grab that last bouns point for the championship. Overall that means Both Hirvonen and Loeb are on equal points of 58, thanks to the bouns points Loeb took this weekend, and the bouns points Hirvonen got from winning the Mexican Power stage. And ford still hold the Manufactures Championship by 10 points. Down in the PWRC, Hayden Paddon took the win on his 2011 debut in his symtech racing prepared Subaru. And by a massive margin due to others having problems.